I'm pumped to announce and share details about an upcoming exhibition of my photography on Friday, September 14, 2018. This exhibition will feature a selection of 15 or so exposures I captured during shoots in Seattle, Vancouver, Hawai'i, San Francisco, Montreal, Florida, Austraila, and Brazil. I've grouped these photographs under the theme "On Black and Blue". More on that in a moment. This exhibit will take place at Stretch and Staple--an awesome Greenwood neighborhood professional photography gallery and canvas printing company--as part of the September "Art Up PhinneyWood" art walk. 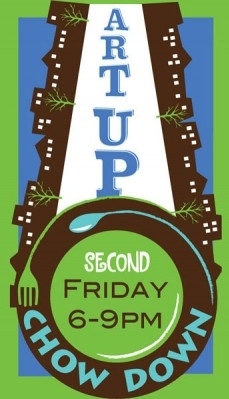 This event marks the first show of my work in more than 2 years. The last one was the 2016 Microsoft Art Collection Employee Art Exhibition where my photograph "Broken" was one of 29 artwork pieces shown out of nearly a 100 submissions from Microsoft employees around the Puget Sound. 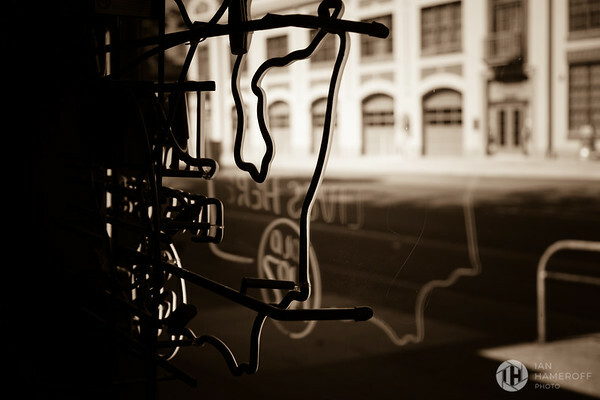 With this being my first exhibition of more than just one photograph, I spent a bunch of time trying to think through a theme to help make my "curation" a little easier (or, at least make the exhibit a bit more organized vs. random). Working off a portfolio of more than 2,000 photographs (some okay and some great) it's super important to have some kind of game plan. I chose "On Black and Blue" based on two factors. First, there's been a recent set of black and white (and, sepia) exposures I've assembled that I've really, really love. Not to be narcissistic or anything, it is just that I truly enjoyed looking at these photographs...and I was also fortunate to receive lots of positive feedback from others. So, for this show, I married the two "concepts" and it's hopefully something you'd find engaging, as well. And, to stay up-to-date on this event, as well as all things related to my photography, just follow my new @HameroffPhoto Twitter. I'll keep posting updates over the coming weeks as we get closer. See you on September 14th! Editor's Note: I fully acknowledge that a long time has passed since my last post. In addition to the normal "excuses" of not having the time (especially after the recent birth of my daughter), I found myself having to resurrect my site and blog from the metaphorical dead. During this excused-laden period in 2017, I failed to properly heed several warning emails from Microsoft that made it very clear that the underlying database flavor I ran my Azure-hosted WordPress site was going to be deprecated. Instead of doing a backup and restore of my site's content to the new recommended database platform, I lost all it all when the MySQL DB was dropped. I was heartbroken. And, it was all my own fault. No one to blame, but myself. Considering one of my past roles at Microsoft was communicating these types of end-of-service events to Office 365 admins, there was a little bit of irony in play. While I did lose a bunch of posts, I luckily did not lose my FIFA World Cup 2014 adventures journal. That would have been way harder to swallow. Fortunately, I had a prior export/backup of all of these World Cup Brazil posts. I just finished spending a month rehydrating the XML transcripts into this new personal website. I'm going to be a little more careful moving forward, for sure! On to the topic. In August 2017, my wife and I traveled to our most favorite place on earth: the Big Island of Hawai'i. While we had just visited Hawai'i a few months earlier, this trip had an extra-special meaning for us. It would be our babymoon. Our last hurrah before both the later stages of my wife's pregnancy and then the arrival of our daughter would make such trips difficult. 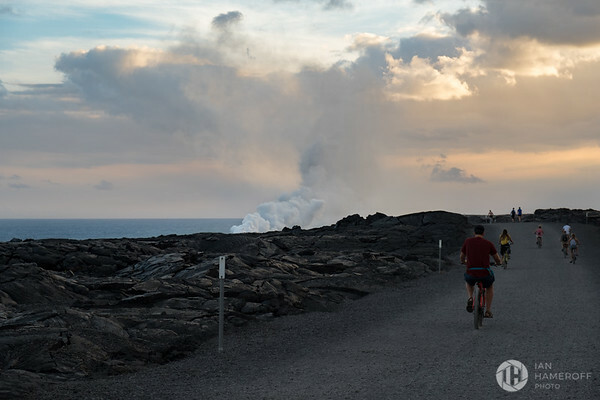 One of the benefits of having visited the Big Island as often as we have, is we've experienced Hawai'i Volcanoes National Park from several different perspectives. 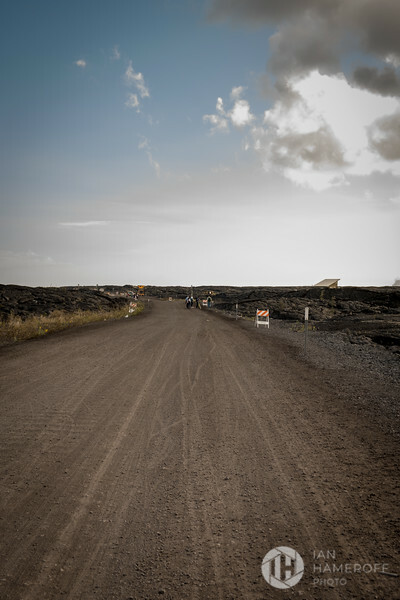 The wife and I have hiked across Kīlauea Iki, made several trips down the Chain of Craters Road by car, marveled at the Halemaʻumaʻu Crater during the day and at night, and even flew over Halema'uma'u and Puʻu ‘Ō‘ō by helicopter. 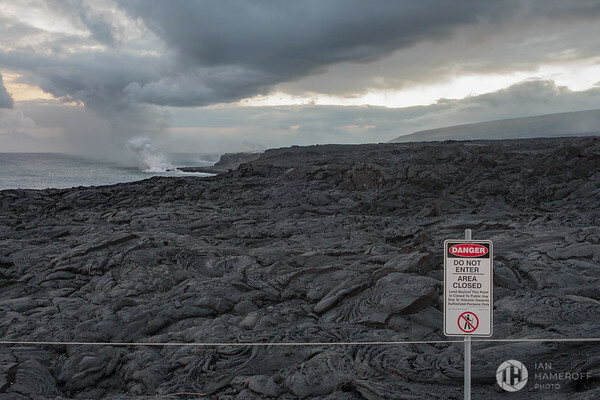 The only thing left was to witness the amazing--and amazingly destructive--force of nature of the active, flowing lava from Kīlauea as it met the Pacific Ocean. To accomplish this "bucket list" entry, we strapped on our hiking boots, grabbed some bottles of water, flashlights, my trusty FUJIFILM X-T2, and did the 8-plus mile roundtrip hike out to the Kamokuna Viewing Area. Oh, did I mention my wife was 6 months pregnant? She was! And, in way better shape than just about anyone on the trail. After conferring with the fine NPS volunteers on the best route to take, we embarked from the NPS visitor center and made the long drive down Pāhoa-Kalapana Road (Hawai'i Route 130) to its bitter end. 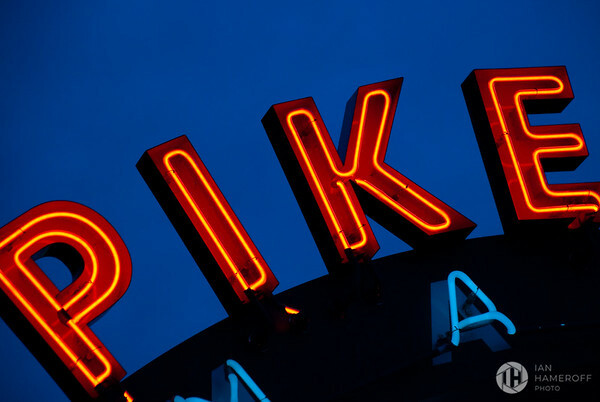 We found ourselves at a highway terminus that was one-part parking lot, one-part bazar, and one-part base camp for the adventurous thrill seekers wanting to walk (or bike) 4-plus miles each way to one of Mother Nature's most awesome displays. Maura and I set off with about an hour prior to sunset, with the expressed goal of reaching the end of this trail in time to see the lava fireworks (in all of its glory) in the dark. This also meant that we'd be returning to our quasi-basecamp in the darkness. Luckily, we wouldn't be the only ones. 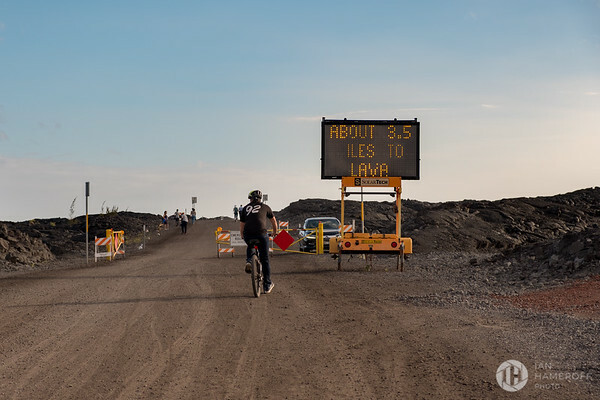 Between those traveling by foot, on bike, and the occasional East Rift Zone local passing by in their dust cloud generating pickup trucks, the hike to the lava ocean entry viewing point was not a lonely one. The trail we followed was nothing more than heavy machinery compacted earth; the byproduct of a fairly recently cleared path after a prior, early 2000s flow wiped out the original, paved roadway. 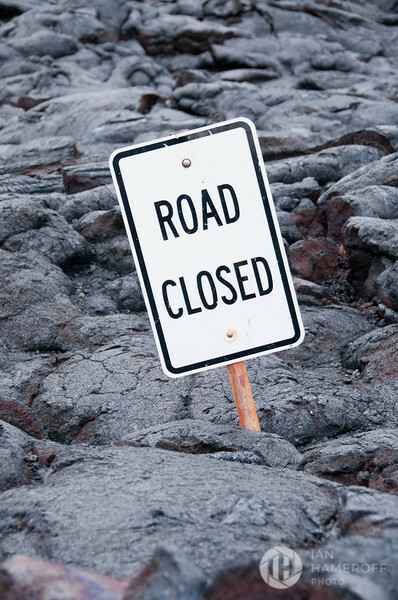 A quick aside: we were very sad to learn during a prior trip that the relatively famous "Road Closed" sign (shown below from a visit in 2010) was now gone. 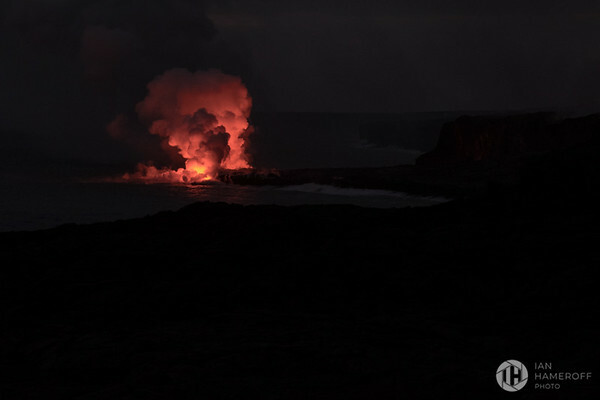 A victim of the federal government's bulldozers tasked with craving out an escape route in the event Pele (the goddess not the futebol god) decided to unlesh more lava flows. As you've probably noticed, this indeed happened earlier this year. While a flat and smooth path, the terrain that bordered each side of our two car lanes wide trail was anything but. In addition to the blackened fossilized lava flows hugging both sides of our route, we passed by the heroic (or insane) homes built by the off the grid citizens of Kalapana Gardens. This "neighborhood" was built atop 40-60 feet of "new earth" that covered the buried remains of the original subdivision that was erased from the map after a series of flows in the 1990s. I didn't take any photos of these homes out of respect for (or fear of) these folks. But, it would be fair to say some of these homes/minor compounds looked more like favelas for ne'er-do-wells than handcrafted outposts for these resilient pioneers. After several miles, we began to see the white, fluffy steam plume created as super hot molten lava crashed into the cool waters of the Pacific. And, with the day retiring well into dusk, we also saw little balls of fire on the hill to the north. 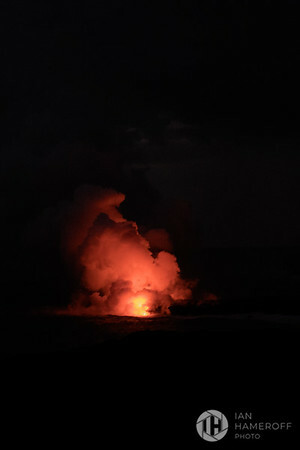 This was from the active flow peaking out of lava tubes feed by Puʻu ‘Ō‘ō. A few minutes later, we found ourselves at the end of the path. National Park Service Rangers directed the throngs of visitors to head left, but to watch their step. We were left to negotiate the undulating surface of once flowing lava frozen in time. It didn't take long for our efforts to be rewarded. 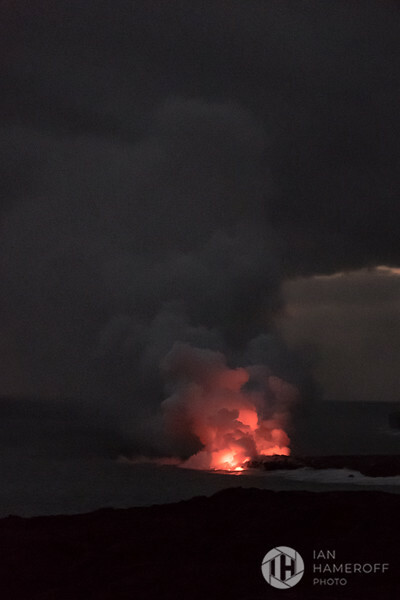 As if controlled by Disney's famous Imagineers, the full power of Pele illuminated the sunsetting sky, But, it was mere tease to what we'd see once the darkness of night enveloped our view. 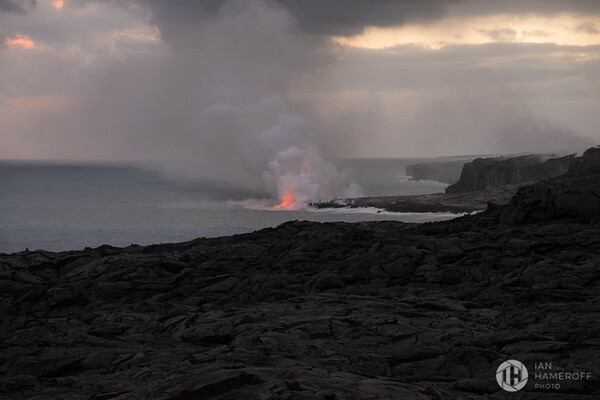 As if it was possible to visualize a verbal argument between two waring parties, the effects of Tūtū Pele venting Puʻu ʻŌʻō into the Pacific Ocean was intense. And, at the same time submission. No matter how powerful, hot, and vicious the lava may have been on the surface, it was ultimately no match for the waters of the ocean. It almost gave new meaning to the ocean's name. Pacifying liquid earth and turning this raw material into newborn land. The hundred or so witnesses that stood with us all remained in the silence awe often invokes. The darker the nighttime sky, the more pronounced the colors. Soon, our community began to relax. A pair of French visitors tried in vain to capture an Instagram-ready photo, with one of them attempting to employ forced perspective to create the illusion of her companion's ability to hold the volcanic plume in her arms. After several attempts, they finally resigned to the fact that neither the iPhone's camera nor the lighting conditions would yield the desired result. Maura and I stood in our euphoric trance for nearly an hour, before deciding to navigate around the French duo, a lady who hiked the same distance with a very long lensed Canon DSLR, a South Asian family that had a disagreement that boiled over to the point of the patriarch leaving his wife and two disobedient sons behind, and gaggle of tourists all attempting to locate a trustworthy patch of ground to stand witness themselves. With this literal hellfire in our rearview, we set off to retrace our path back to our rented car at the makeshift basecamp from which we departed hours before. Suddenly the 4-plus miles (all in the dark, sans the occasional passersby on foot or bike with their own flashlights) return felt like 40 miles. After arriving back at our car, we collapsed into the seats and prepared for the long journey back to our hotel on the other side of the island. Even though I was throughly exhausted from a very full day, the images of what we experience fueled my desire to get back to our so I could immediately examine my exposures in Lightroom, and relive the whole experience again. Random thoughts and reflections on photography, storytelling, tech, Whisky, football (the round-ball kind), etc. © 2019 Ian Hameroff. All rights deserved.